In the cradle of humanity, Africa, the IOGT movement is represented through 42 Member Organizations in 17 countries – all located in Sub-Saharan Africa, where we cover all regions with our work. IOGT Burundi promotes a lifestyle free from alcohol and other drugs through the example of their own members. COMPAGNON D’ACTION POUR LE DEVELOPPEMENT FAMILIAL (CADF-ONG) or, in the English translation “Action Companion For Family Development” (CADF-NGO) works for the prevention, rehabilitation and treatment of harms caused by alcohol and other drugs. CADF-NGO engages in Human Rights promotion, community development and advocacy activities on grass-roots level across the country. IOGT Junior Education Service (JES) Gambia is the youth movement of IOGT in The Gambia. JES Gambia promotes a fresh and sober lifestyle, and empowers youth to take control of their lives. Anda sa sago – be in control of your own life. IOGT The Gambia promotes a fresh and sober lifestyle, and empowers Gambian youth to take control of their lives through healthy social activites and education. Anda sa sago – be in control of your own life. 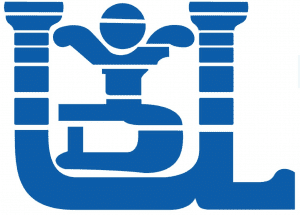 The Institute of Leadership and Development (INSLA) is a non-profit civil society center for the strengthening of leadership capacity and the promotion of development. INSLA’s interventions are based on proven local, national and global scientific evidence, facts and good practices. INSLA is a development oriented center which has been in operation since December 2009. The Institute’s current focus is to strengthen leadership to assist in the implementation of the United Nations (UN) Sustainable Development Goals (SDGs) and other international development frameworks. The Institute works to promote development and counter the irresponsible corporate activities detrimental to human health and the environment. INSLA engages in health promotion and information activities, as well as sensitization efforts on clean, productive and safe environment. INSLA is advocating for good governance and peace, and youth and gender empowerment. The Network for Youth Advancement and Peace Foundation (NEOYAP) is involved in human development, peace building, prevention of alcohol and other drugs use and education and awareness programs. NEOYAP work with Counseling, Education, Prevention and Rehabilitation. NEOYAP organizes seminars and prevention and rehabilitation activities. Vision for Alternative Development (VALD) is a non-governmental organisation registered with the Registrar Generals Department of the Republic of Ghana. 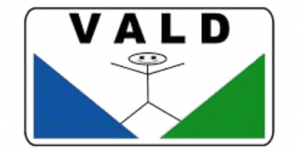 The main goal of VALD is to promote alternative initiatives and support development at all levels of society by advocating for a tobacco-free society and road safety in Ghana. VALD also strengthens tobacco control at the local level in Ghana to improve health and reduce poverty. VALD’s objectives are to advocate, sensitise and build capacity on tobacco control and health issues; to empower and support community participation in good governance; and to promote and support cultural diversity, dialologue, peace and development in Ghana. Children Foundation and Peace Development (CFPD) promotes a lifestyle free from alcohol and other drugs through the example of their own members. Its aim is to build capapcity for women and children. CFPD works to address alcohol and other drugs as obstacles to sustainable development and thus directs its work at poverty eradication. CFPD also conducts school-based education interventions to promote healthy and participatory lifestyle choices. IOGT Ghana promotes a lifestyle free from alcohol and other drugs through the example of their own members. IOGT Ghana is an NGO for all ages and works across the entire country of Ghana. 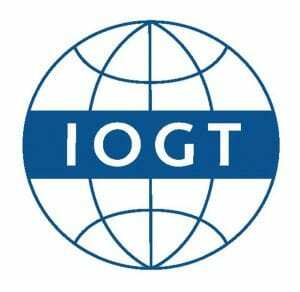 IOGT Ghana works with all aspects of the harms caused by alcohol and other drugs: alcohol policy advocacy, narcotic drugs policy advocacy, prevention, treatment and rehabilitation. IOGT Ghana conducts programs for community development as well as peace and conflict resolution work. IOGT Guinea Conakry promotes a lifestyle free from alcohol and other drugs through the example of their own members. IOGT Guinea-Bissau works to provide education for peace, health and solidarity – and real developement of the country. IOGT Guinea-Bissau runs schools in the country to provide basic education and empowerment. IOGT Guinea-Bissau also works with sports and leisure time activities to prevent alcohol and other drug use among children and youth. 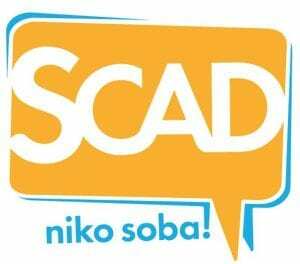 SCAD is a not-for-profit and politically independent youth run organization. SCAD works for reducing the prevalence rates of substance abuse, HIV risk behaviors and infections among young people of Kenya. Through education programs, SCAD works with and for young people, equipping them with skills to aide in their making informed decisions while SCAD’s advocacy efforts are aimed at addressing the environment within which they live. Research guides both SCAD’s education and advocacy efforts. IOGT Kenya promotes a lifestyle free from alcohol and other drugs through the example of their own members. 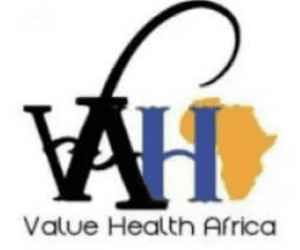 The Anti Drug Abuse Association of Lesotho (ADAAL) works to educate young people and adults in Lesotho about HIV and substance use prevention. ADAAL’s main activities are projects to empower healthy youth. ADAAL’s works comprises advocacy, prevention, community development, Human Rights promotion and research. ADAAL also runs a project for orphans and vulnerable children. Other areas of work are HIV/Aids, Counseling, Education, Prevention, Training, Anti-Human Trafficking, and Sustainable Livelihood / Alternative Development. DEVCORPS is the premiere organization for sustainable development through advocacy for Human Rights, violence prevention, recovery, rehabilitation and livelihoods initiatives. DEVCORPS is a non-governmental organization dedicated to improving the lives of young people and women affected by violence in Liberia. DEVCORPS programs include advocacy to address gender-based violence and alcohol, as well as substance abuse prevention at grassroots level. DEVCORP works with local structures such as youth-led community-based organizations, schools, local councils and women-led organizations. IOGT Liberia runs activities in every region of the Republic of Liberia in order to promote a lifestyle free from alcohol and other drugs. IOGT Malawi promotes a lifestyle free from alcohol and other drugs through the example of their own members. IOGT Mali promotes a lifestyle free from alcohol and other drugs through the example of their own members. The Nigeria Alcohol Prevention Youth Initiative (NAPYI) is a not-for-profit non-governmental youth organization with a mission is to give voice to young Nigerians’ views on alcohol harm, to create more awareness about evidence-based policies that help prevent and reduce alcohol harm, and to promote science-based practices independent of commercial interests. NAPYI works to empower young people by educating and empowering youth to lead a healthy lifestyle. NAPYI works to monitor the activities of the alcohol industry in Nigeria and engages in the development of public policy solutions for alcohol control and to work according to WHO standards. IOGT Nigeria promotes a lifestyle free from alcohol and other drugs through the example of their own members. The Senegalese Youth Network on Population and Development (RESOPOPDEV) is a youth organization that advocates for adolescents and youth on issues of Sexual Reproductive Health and Rights (SRHR) as well as on Migration and Participation issues affecting young people. RESOPOPDEV was created to provide answers to the concerns of young Senegalese about their health and socio-economic status. 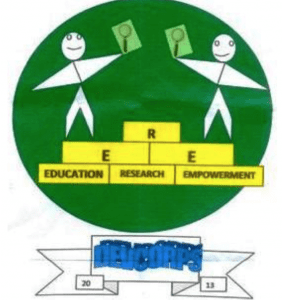 RESOPOPDEV’s mission is to be a powerful national network at the forefront of Senegal’s youth development. 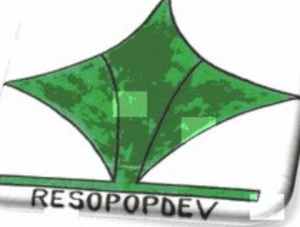 RESOPOPDEV works to create an enabling environment for effective participation of adolescents and young people in protecting and promoting SRHR, education, and sub-regional integration as well as the fight against the spread of HIV/ AIDS, poverty , unemployment, inequities and gender inequalities. IOGT Jeunes Senegal brings together young people who want to live a life free from alcohol and other drugs. IOGT Jeunes Senegal work to empower youth and build their capacity in inclusive, creative and safe environments. IOGT Jeunes Senegal works to raise awareness of alcohol-related harms and to prevent alcohol and other drugs problems in Senegal. IOGT Senegal promotes a lifestyle free from alcohol and other drugs through the example of their own members. Association Sénégalaise pour la Paix, la Lutte contre l’Alcool et la Toxicomanie (ASPAT) is a national association working for the prevention and reduction of harm caused by alcohol and other drugs. ASPAT works to promote peace in Senegal. It focuses on prevention of drug use and training of young members. ASPAT also works on AIDS awareness. ASPAT promotes abstinence from alcohol and other drugs in order to foster economic and social change. ASPAT strives to create a more peaceful and productive society through activism that builds temperance and solidarity within communities across Senegal. ASPAT’s objectives are to contribute to the eradication of drug and alcohol abuse; to contribute to the prevention of cannabis production; to contribute to societal empowerment, especially among young people. Foundation for Democratic Initiatives and Development (FDID) works to empower youths that are associated with alcohol and other drugs as well as with violence in Sierra Leone. The main work is based on community drug prevention interventions and demand reduction programmes in the country.FDID provides workshops and seminars in communities in the capital Freetown and in other cities. FDID also conducts radio talk shows, school outreach programmes and community prevention activities targeting young people. IOGT Sierra Leone is a community development organization. The primary role of IOGT in Sierra Leone is to complement the efforts of the Sierra Leone government in its drive to prevent and reduce the harms caused by alcohol and other drugs. IOGT Sierra Leone is also active in various sectoral programmes, such as health, child protection, human rights, rehabilitation work. 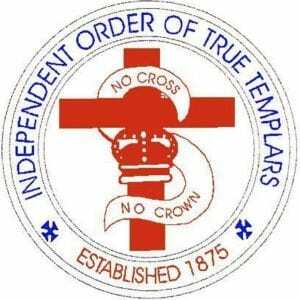 The Independent Order of True Templars (IOTT) is present all over Southern Africa, Botswana, Mozambique, Swaziland, Lesotho, Namibia and Zimbabwe. IOTT works to prevent and reduce harms caused by alcohol and other drugs and to promote a sober youth, for a sober nation. FUMACO is a registered NGO based in Mwanza, Tanzania and is politically and religiously independent. In collaboration with a wide network of partners, FUMACO works to facilitate an enabling environment for the struggling to address economic, social and physical needs of the community so as to empower them and have a voice. FUMACO’s vision is to leave a sustainable community for future generations. FUMACO’s mission is the promotion of social inclusion in order to empower and to reflect the perspective of the minorities, the excluded groups and the poorest in the development process. Early Childhood Development: intends to strengthen the capacities of families and the local community structures to support vulnerable children to access preschools, pre-primary education and feeding program within targeted communities. Skills Training and Economic Empowerment: providing long term solutions to poverty through giving skills that can provide sustainable incomes. HIV-TB Education and Support: enlighten community members on the link between HIV and TB and also infusing rights based approaches in the management and care of HIV patients who have TB. Child Marriage Campaign: raise awareness of the harmful impact of child marriage by encouraging open, inclusive and informed discussion at community level. The Arusha NGO Network (ANGONET) gathers 100 civil society and community-based organizations in the Arusha region of Tanzania. ANGONET’s vision is seeing CSOs with capabilities to respond to community needs and rights. 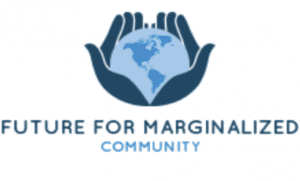 Its mission is to join and link efforts and experiences of individual CSOs by strengthening their capacity to deal effectively with community development, policy research and advocacy and other emerging issues and problems in and outside Arusha in Tanzania. Capacity Strengthening: Build technical capacity of individual CSOs and other stakeholders in development. Policy Research and Advocacy: Undertake policy research, and advocacy on issues of interest to individual CSOs and the general public. Linking, collaboration and networking: Facilitate sharing and flow of information among CSOs, linkages with other institutions and build relationships that add value to the organizations and communities. ANGONET engages in policy advocacy, promoting human rights, democracy and governance at grassroots, district, national, regional and international levels. ANGONET is actively advocating for equal community development and mainstreaming gender, peace and security and health issues. Prevention, rehabilitation and reintegration as well as treatment are key priorities of ANGONET. 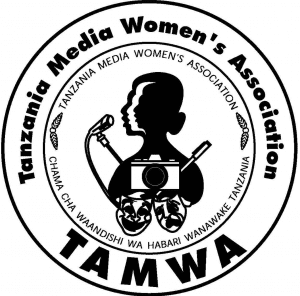 The Tanzania Media Women’s Association (TAMWA) is a not-for-profit, non-governmental and non-partisan organisation. TAMWA is committed to advocating for women and children’s rights by conducting awareness raising activities for cultural, policy and legal changes in society through the use of media. TAMWA has two offices, one in Dar -es- Salaam and one in Zanzibar. Currently TAMWA has over 100 members with a minimum qualification of Diploma in Journalism and three years work experience in the media industry. Members are working in public and private media houses as editors, reporters, programme managers, producers, public relations and communication officers. 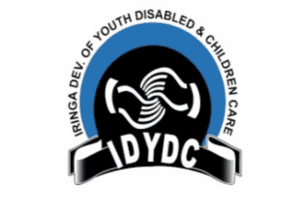 Iringa Development of Youth, Disabled and Children Care (IDYDC) is a non-governmental organization located in southern part of Tanzania. The organization is working in three regions: Iringa, Dar-es-Salaam and Njombe with the headquarters in Iringa Municipality. IDYDC seeks to address the issue of health, poverty and illiteracy. Lack of education, poor knowledge on health issues and poverty affect the welfare of children and youth and increase their vulnerability. IDYDC works with street children, and children and youth that have alcohol and other drug problems. IDYDC also works to mitigate and prevent risks of contracting HIV and STIs. IDYDC has established five major programs to prevent and reduce problems in the community. Cradle of Hope is a women-led NGO active in the Arusha region in Tanzania, working for equality and the empowerment of women and girls because it is women and girls who drive development. That works includes activities to prevent and reduce alcohol-related violence against women and girls. Women and Child Vision (WOCHIVI) is a non-partisan, religiously independent non-governmental organization with a mission to enlighten people in Tanzania specifically in Arusha municipality on a lifestyle free from alcohol and other drugs. WOCHIVIV works to create a healthy community where people do not live in fear of infection with HIV/AIDS and burdened by poverty. Their activities include teaching disadvantaged youth; providing home-based care to sick patients including food support; giving small business grants to widows whose partners have died from HIV/ AIDS – which allows them to stop producing informal alcohol and earn money for family needs such as rent, food, medicine and school fees; as well as community outreach and capacity-building of school students. Sober Tanzania promotes an alcohol-free lifestyle through the examples of their own members. 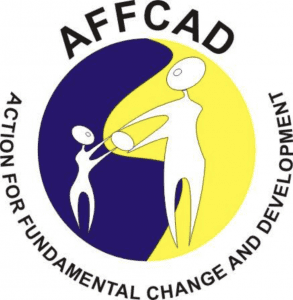 Action For Fundamental Change And Development (AFFCAD) is a not-for-profit, community-based organization formed in 2009 to fight against HIV/AIDS and poverty in the slum communities of Kampala, Uganda. AFFCAD’s vision a world without poverty. Its mission is to economically empower slum communities through developing skills that mitigate extreme vulnerabilities. AFFCAD stands for the following core values: Transperancy, Accountability, Creativity, and Team work. AFFCAD runs the following activities: Rehabilitation through sports and drama; Providing free vocational, leadership and technical skills training to the youth; Advocacy; Community dialogues and Sensitization. Founded in 1987, UNACOH runs activities in advocacy for alcohol control regulations at grass root level. UNACOH also conducts community awareness campaigns on prevention and control of alcohol and other drugs. UNACOH strives to link community members identified with alcohol problems to government health centers for treatment. UNACOH works to promote a positive health culture among the Ugandan population and to influence healthy policies through promoting the principles of Primary Health Care (PHC). UNACOH is member of the Global Health Workforce Alliance. The Vision of Uganda Youth Development Link (UYDEL) is a transformed society where young people live a good quality life free from exploitation. UYDEL advocates for children that have been victims of human trafficking, sexual exploitation, and child labour. UYDEL works to enhance socio-economic transformation of disadvantaged children and young people through skills development for self-reliance. 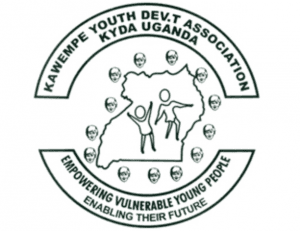 Kawempe Youth Development Association (KYDA) works to provide activities beneficial to children, young people and other concerned adults (care givers) through mass media, community and person-to-person interventions. KYDA is driven by the vision to create an appropriate framework for enabling the youths to develop social, economical and cultural skills, necessary for them to participate in development and improved welfare. 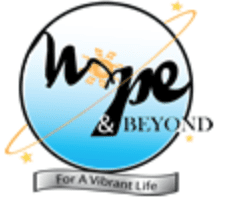 Hope and Beyond is Uganda’s leading alcohol and other drugs rehabilitation center. It is an organization with a mission to provide holistic care to families and communities suffering from addictive illnesses and substance abuse. Hope and Beyond works for a society without substance abuse. Hope and Beyond provides treatment and rehabilitation services in order to help clients achieve abstinence and attain better quality of life. Hope and Beyond works to implement programs and activities geared towards the prevention and reduction of substance abuse; to mitigate the challenge of HIV among people affected by substance abuse; and to work with people and communities affected by substance abuse in order to provide support for them to acquire and sustain resources to improve their standard of living. SOBER Uganda promotes a lifestyle free from alcohol and other drugs through the example of their own members. 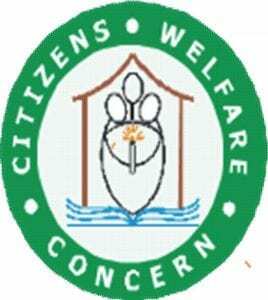 Citizen Welfare Concern (CIWECO) is working to address suffering, enable peace and inspire for success with regard to living a healthy and rewarding life. CIWECO’s goal is the holistic welfare of citizens. The mission of Citizens Welfare Concern in Zambia is to provide practical and effective prevention tools and actions that empower citizens to live up to their fullest potential. CIWECO works to build capacity of a new generation of citizens who are spiritually, economically and socially responsive to the community and nation in which they live. CIWECO’s vision is an empowered and sustainable life in an environment of peace and opportunity. 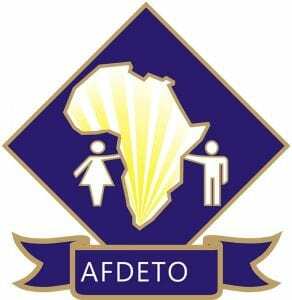 The Africa Foundation for Development and Tolerance (AFDETO) works to promote prevention of substance use; to promote youth rights, women’s rights and child rights; to empower communities and workplaces with adequate knowledge concerning harmful substances, HIV/ AIDS and other development issues. ZYMCA works in Christian fellowship, with advocacy and self-help activities in order to empower and transform communities, especially youth communities, in open and creative ways. Zimbabwe National Council of Young Men’s Christian Association is a registered Non-Governmental Organization based in Zimbabwe and founded in 1968. ZYMCA aims to unite young people of Christian faiths, transcending all divisions and barriers of class, creed, colour, role, gender, age, nationality and religious denominations or political persuasion. ZYMCA’s mission is to contribute towards the spiritual, physical, intellectual, cultural, economic and socio-political well-being of young people and marginalized groups through empowerment programmes and promotion of sustainable development. 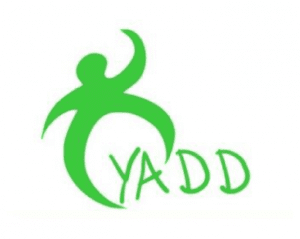 Youth Against Alcoholism and Drug Dependency (YADD) is an association of young people who having realized how substance abuse damages the ability of the youth to act as free and conscious beings, capable of taking action to fulfill their needs; are working to fight alcoholism and substance abuse by promoting possibility oriented living. YADD’s mission is to build a community responsive to the life threatening nature of alcohol, tobacco, and other drug abuse. YADD strives for promotion of healthy alternatives to substance use among young people in Zimbabwe. Action24 is a regional youth NGO operating in Zimbabwe and Botswana. Action24 works to create a sustainable and enabling environment that empowers youth to participate in climate change and sustainable development activities through projects implementation, coordination, collaboration, networking, and advocacy. Action24 envisions a coordinated regional youth that positively contributes to national climate change and sustainable development processes. Action24 works to empower youth and increase their active participation and engagement in planning and implementing of climate change adaptation and mitigation so as to build sustainable socio-ecologic and economic environments.